Home Blog In all shapes and sizes. With the growing popularity of the clean white look, many manufacturers are becoming more creative when it comes to producing solid white field tile. One of the latest trends are the arabesque look (pictured). Available in both gloss and satin with an undulated texture. 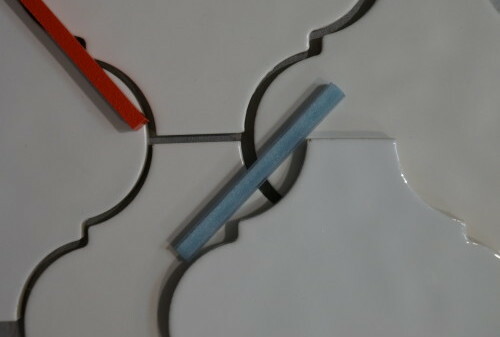 To create a real wow effect, install them with a contrasting grout, such as a vibrant red or cool blue.